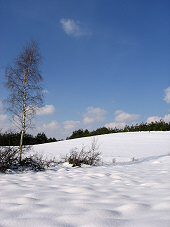 Seasonal affective disorder affects 10 to 25 million people in the United States every winter. Seasonal disorders affect women at almost twice the rate as men, with seasonal disorder occurring more often in people in their twenties. Children are not immune to seasonal depression. A study published in the Journal of America Academy of Child and Adolescent Psychiatry in 1998 suggested that at least 3 percent of school children in the United States may be affected by seasonal affective Disorder. Although there are no hard statistics on how many Americans suffer from SAD, the APA states that between 10 and 20 percent of the country's population may suffer from mild symptoms associated with the depression disorder. Women also appear to be more susceptible to SAD. Between 70 and 80 percent of those with SAD are women.